As a rule, fashion ads are beautifully vapid. And they just got the send-up they deserve. Next week is Mercedes-Benz Fashion Week in Berlin, and the event's title sponsor is out with a new video that's a delightful parody of fashion marketing nonsense. 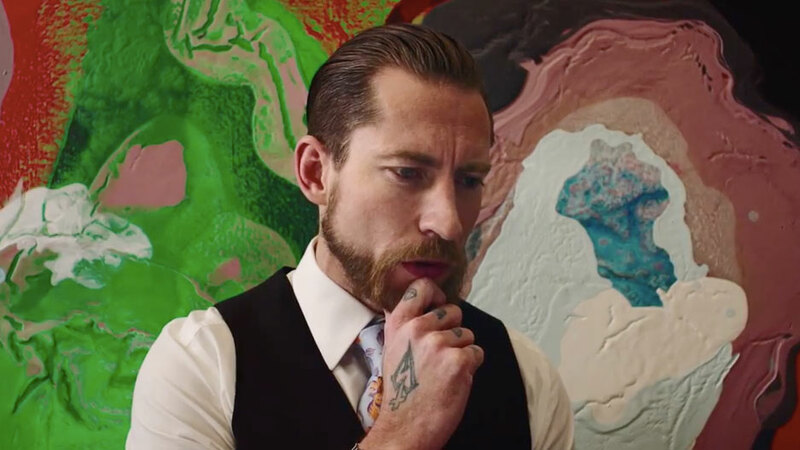 Justin O'Shea, an industry insider with a striking aesthetic (his day job is buying director at online high fashion boutique MyTheresa.com), makes his acting debut here, delivering a perfect deadpan performance. The story shifts flawlessly between the sort of trite, atmospheric melodrama that's the hallmark of the fashion category, and its foil—the laugh-out-loud relief of the mundane. "The streets blazed with a gentle chaos," says O'Shea. "I knew just the place where I could get what I needed." Spoiler alert: That place, it turns out, is a grocery store. What he needed was some milk (or maybe it's kefir). True to form, the three-and-a-half minute film, directed by Danny Sangra, is gorgeously shot. O'Shea's ride, a stunning 1970 Mercedes C111, gives it a huge boost on that front. His collection of tattoos helps, too. In fact, the whole spot flies right by, aided by co-stars Veronika Heilbrunner (O'Shea's real-life girlfriend and colleague at Mytheresa.com) and their fashionable friends Julie Knolle and Gabe and Raffi Chipperfield. Overall, it might be one of the best fashion ads ever. Too bad it's for an automaker.